Decomposition of ammonium nitrate, 1 of 3. 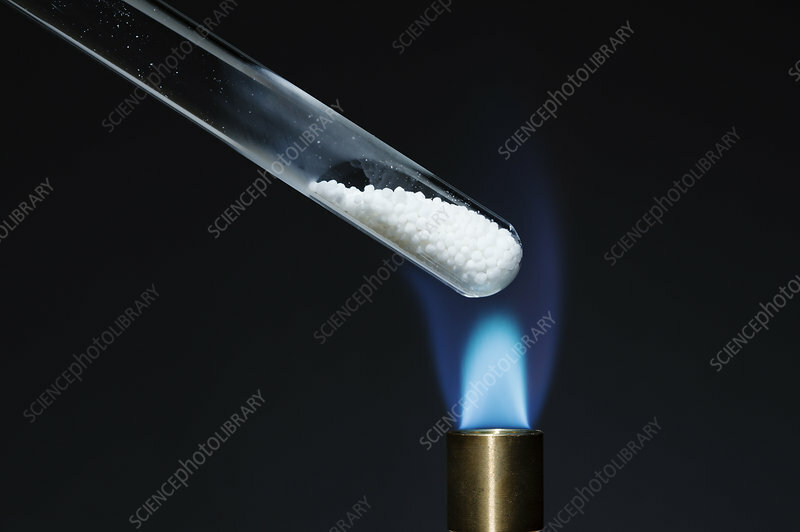 A test tube with ammonium nitrate, NH4NO3, is placed over a Bunsen burner flame. When heated, ammonium nitrate decomposes into nitrous oxide gas, N2O, and water, H2O: NH4NO3 -> N2O + H2O.